A SEO Company For Your Website? How DIY SEO works? Getting your website on the first page of search results is a dream that every website owner can relate to. With the Internet becoming a primary source of leads for businesses it is inevitable to have healthy visibility on the web. So what it takes to make your website show up on the first page of search results? Technically the term is Search Engine Optimization most commonly known as SEO. But you already know that, do you actually know what SEO means? In simpler words, search engine optimization is every methodology brought in use to rank your website in search engine result rankings. In practice, the process involves making on-page and off-page optimizations to web pages so they get indexed by search engine bots better and faster. For most of the newbies out there, a search engine is a synonym to Google but there are many search engines in use like Bing, Yahoo! etc. With 80% of an online search performed via Google, it makes sense to focus entirely on optimizing your websites for Google. You might have noticed the words ‘organic’ and ‘natural’ used above in terms of gaining better search engine ranking. But what exactly we mean by organic results? It is possible to appear higher in the search engine results by paying through Pay Per Click advertising campaigns like Google AdWords. However, such paid traffic gain does not require SEO tactics, so we won’t be discussing them here. 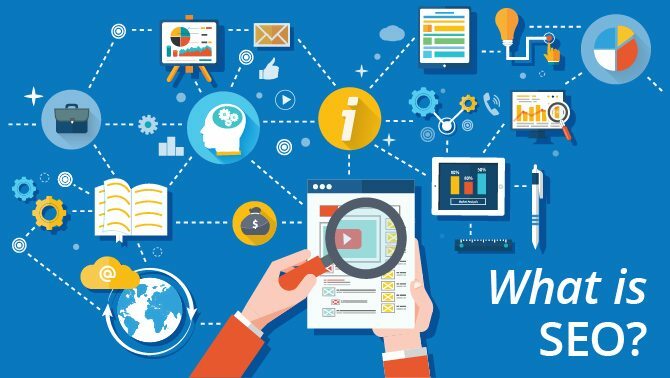 If you wonder why to go through all the trouble of optimizing web pages when PPC offers more direct and quick results, the answer lies in consumer habit. Consumers prefer organic search results they come across on search pages over paid ads. Furthermore, SEO investments pay you in the long run by keeping your web pages ranking higher for a much longer period than any PPC campaign can (unless you have loads of cash to burn). SEO is not rocket science, it can be learned with patience and persistence. Learning what search engines like Google look for when ranking your website will let you master DIY SEO. Search engine optimization has changed drastically since the growth of websites and e-commerce. As the number of websites grew on the Internet it became increasingly difficult for search engines to provide reliable results to searchers. Many website owners stick to black hat SEO tactics to trick search engines into ranking their websites on the top. Google, in particular, is fighting such practices to provide the best results to web searchers but it takes a toll on website owners as it becomes more difficult to rank nowadays. Keywords:– Search engines actively scour web pages to make sense of their meta information and content. When someone uses a matching keyword or phrase, search engines show your web pages in results. This is why it is important to know what keywords your target audience use in search engines. Age of the website:– Newer websites always struggle to make it higher in ranking because search engines favor websites with a good history over new sites. Incoming links-Google factors in the incoming links to your website when calculating its rank. Social media sites are an excellent source for backlinks but incoming links from other high-quality websites will also help improve your website’s ranking. Remember, search engines will judge you by the company you keep. Outgoing links-linking content to other websites within your content will also work in your favor. Responsive web design-with mobile devices replacing laptops and desktops, Google made mobile-friendly web design an important factor to look at when ranking a site. Security-a more recent inclusion, to avoid cyber-attacks and ensure the safety of users, Google has made security an important aspect of website ranking. Now that we have elaborated what SEO is and how search engines work, here is a 10-step strategy to improve your websites’ SEO to boost traffic and revenue. These are the basic DIY SEO tips that can get you on the right track, but there are many other techniques that ethical SEO companies use to boost your website rankings. Planning to start an Online Store with WordPress? There is no doubt that WordPress is one of the best CMS platforms to start an online store. Since it offers you lots of amazing plugins and tools. However, when it comes to creating an online store. The most important thing is to find the perfect theme. That is why to help you out we have handpicked best WordPress themes with Woocommerce. So you can choose the best theme for yourself easily. However, hiring a professional SEO company may not be feasible if you are a home business with budget restrictions. Then, when exactly do you need an SEO company? Losing focus on SEO causes you to lose in profits. But then you really don’t have time to focus on SEO. Why not hire a professional instead? Hiring an SEO company will free up your time that can be used in the development of your business. You will have more time to make new customers, find great employees and streamline your business. You no longer have to worry about learning new skills to keep up with Google updates. Let’s face it, even when you are learning SEO there’s no guarantee that you will get things right always. It is worse to waste time and money on optimization that does not work. Hiring a professional SEO company will ensure that you have people working on SEO who know what they are doing. How do you know when your SEO is working? There are many more metrics than just the rank number that tells you how healthy an SEO strategy is. An SEO company will help you to understand the metrics of a successful campaign. Online marketing is a lot more than just SEO. Social media marketing, email marketing, website optimization, and content development, all of this is part of an online marketing strategy. 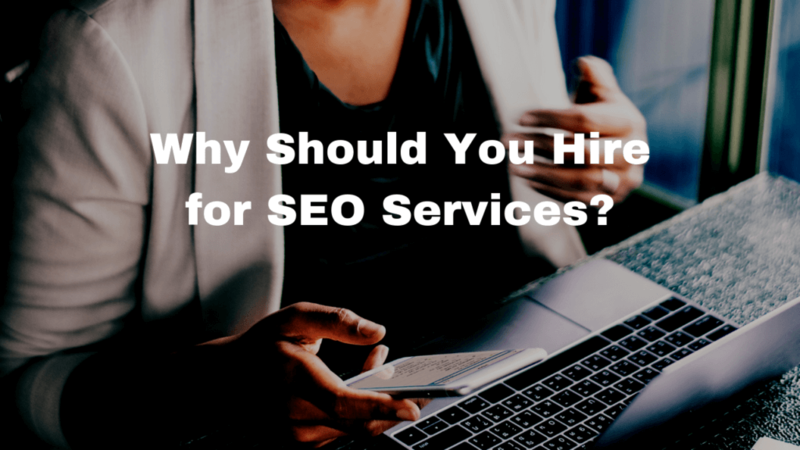 When you hire an SEO pro you get full services. Whether you choose to stick to DIY SEO or decide to hire a professional SEO company, the main objective is to keep working on optimization of your website to keep it in compliance with changing search engine algorithms.